While Colt and Winchester certainly own respectful places in the fabric of American history, they most assuredly did not win the West. That dubious honor rests solely on the shoulders of the air rifle. 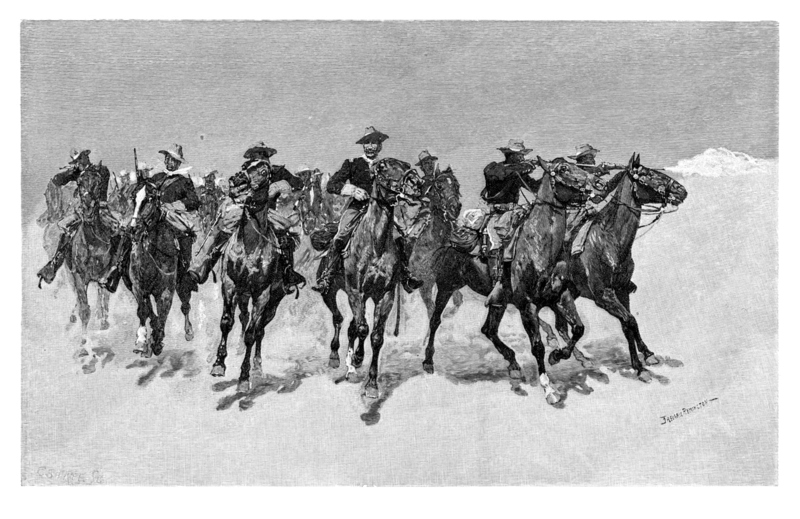 The American West was the subject of action, adventure, lawlessness, dime novels and daydreams of eastern citizens hungry for a wild and wooly lifestyle. Davy Crockett, Daniel Boone, Wild Bill, Billy the Kid, Jesse James, Wyatt Earp, Doc Holliday and other characters lit up the pages of story after story. In later years they fanned the flame of the Colt 1873 Peacemaker, a gun largely hailed by enamored masses as the gun that won the west. While the Colt .45 was a masterpiece in its own right and uniquely capable of equalizing with rapid, repeatable and accurate shots, by the time it came around, the west already was essentially won. With respect to long guns, other American West enthusiasts assign the same revered title to the Model 94 Winchester Saddle-Ring Carbine Lever Action Rifle. Ask any self-respecting firearm enthusiast or western history nut which firearm really won the west and you undoubtedly will hear about one or both, the Colt or Winchester. The fact that they have reached an iconic status in western history in undeniable; they deserve such status. But while Colt and Winchester certainly own respectful places in the fabric of American history, they most assuredly did not win the west; that dubious honor rests solely on the shoulders of the air rifle. To gain understanding of the air rifle in American history, a glimpse of the technology’s world history is invaluable. Airgun is defined as “a gun from which a projectile is propelled by compressed air.” Some semblance of airgun technology has captivated people for more than 2,000 years. Ctesibius, an ancient inventor in Alexandria, Egypt, developed an arrow-propelling airgun in 120 B.C., as described by the Roman author and military expert, Vitruvius. Unfortunately, the technology fell to slumber for more than 1,500 years before an unknown Danish inventor resurrected the technology in a spring-loaded, trigger-activated firearm. In 1590, Marin le Bourgeoys, inventor of the world famous flintlock mechanism used for more than 200 years, further developed the technology in the form of an air rifle that would be recognized even today for its modern rifle attributes. Le Bourgeoys’ air rifle was gifted to King Henry IV, in 1600. Soon after, a “more perfect compressed-air gun was brought out by Guter at Nuremberg in 1656, which had attached to the stock, in musket form, all the appliances for charging and discharging by air compression,” according to historical sources. Various versions and technology slowly emerged between the mid-17th century and dawn of the 19th century, most notably a single-shot air rifle developed by Isaiah Luken. Closely following is the primary subject of this topic, the 1779 repeating pneumatic gun, developed by Bartholomaus Girandoni; a rifle believed to have been used by the Austrians against Napoleon’s forces. Much to the chagrin of Colt and Winchester fans, pneumatic big bore, repeating-fire air rifles, as we essentially know and use their technology today, showed up 70 years or more before either. One in particular had the dubious honor of being the chief tool employed to chart the northwest throughout Captain Meriwether Lewis’ and William Clark’s famed expedition. Lewis chronicled the three-year expedition in 13 volumes that comprise what is known today as the Journals of the Lewis and Clark Expedition. Found within the pages of his 13 volumes are 39 references to his air rifle. While historians originally believed his airgun was built by Isaiah Lukens, evidence was discovered and is supported by Lewis’ first airgun journal entry made on Aug. 30, 1803, supporting that it was, in fact, the 1779 model Girandoni repeater. Lewis and Clark blazed their own trail with loyal men, a keel vessel and supplies in tow, including 15 muzzleloading “Kentucky Rifles” and “one long-barreled rifle that fired its bullet with compressed air, rather than by flint, spark and powder,” according to stories of the time. Throughout their expedition, the air rifle proved to be the key element of survival, not simply to hunt for sustenance while preserving their precious, non-renewable powder supply, but to also demonstrate superior firepower when encountering tribes as a means of securing safe passage further west. To be clear, while Lewis and Clark kept 15 muzzleloaders in their keel vessel and only possessed a single repeating air rifle, the natives certainly could have and likely would have believed a stockpile of these repeating rifles were in the vessel. Imagine then, natives keenly aware that Lewis likely had more of these guns in supply were frightened when they watched him shoot 20 rounds accurately in less than 30 seconds. Imagine the massacre they believed would ensue were they to incite conflict. The same shock and awe experienced by the natives certainly would have been Lewis’ purpose for such demonstrations; after all, his primary concern was being allowed to pass one encountered tribe after another in his effort to chart the west for his country. To further demonstrate its value, on Aug. 11, 1806, Lewis demonstrated how much he believed in its ability in combat. From 1803 to 1806, under order from President Thomas Jefferson, Lewis and Clark undertook a mission that even today is regarded as one of the most dangerous in American history. They did so in duty to America as well as to fulfill their pioneering spirits. The remarkable truth that Meriwether Lewis purchased an airgun, took it on his expedition and counted on its performance to secure the team’s travel from the east, clear to the Pacific Ocean and back, is a marvelous testament to the regard he had for it as a formidable weapon.